Equipment Used: Pentax K5 with Pentax 18-250mm lens at a focal length of 250mm. Camera Flash. 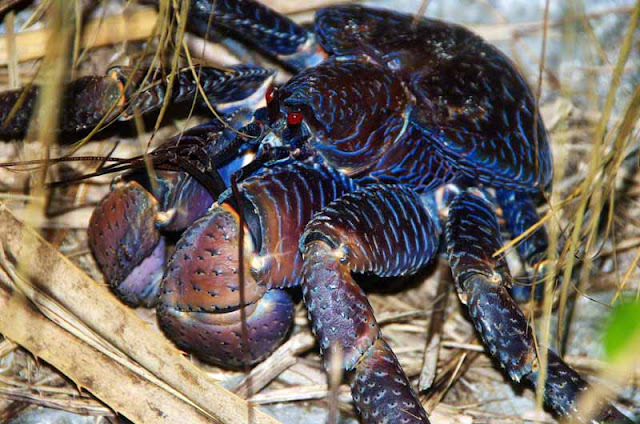 The Coconut Crab (Birgus latro) doesn't look anything at all like the Sea Turtle hatchlings I went to Sesoko Island looking for but, it was nice to meet him, anyway ! Thanks. I reckon you know a few movie makers. Huh ? it DOES look sci-fi - what colors! They do have some great color. The problem is, they only come out at night where you have to use flash.